Liberal Party changed female surnames to match male housemates. 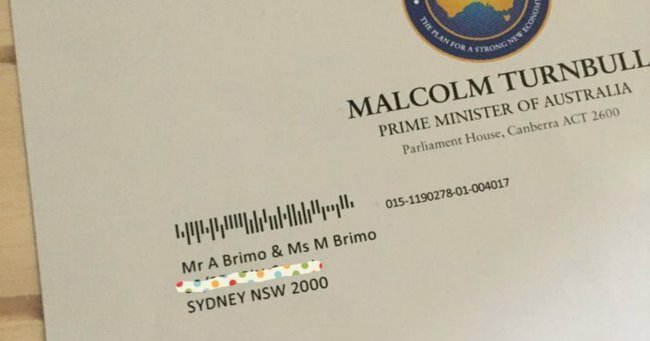 Liberal Party letters change women's surnames to match their male housemate. A number of women have contacted the ABC to say Liberal Party election campaign material sent to their home addresses has changed their surnames to match the man they live with. Some of the women were married, some were not — all said they had never been registered anywhere under that name. Kelly Tall said she was married but had never changed her surname, and said she was surprised when she got home yesterday and found a letter addressed incorrectly to her from Federal Liberal MP Nick Varvaris. “We’re married, but we got married in America, so I don’t even think that Births, Deaths and Marriages knows about it — we never registered it here,” she said. Ms Tall said she was not pleased by the surname change. “It’s so 1950s that the assumption would be that a man and woman living together would share the same surname … it felt very presumptive,” she said. Melissa Ran said she was also shocked by the letter she and her husband received from Prime Minister Malcolm Turnbull and Liberal candidate Geoffrey Winters. “I’m offended on two fronts,” Ms Ran said. “Firstly, I think it’s quite antique and quite sexist, because it is really important to me as I enter marriage that I retain my own autonomy. I know that not every woman feels that way, which is fine, but for me that is a very important issue. “And secondly, I think there is an archaicness [sic] to it that I think shows that the people in power in Australia today are not in touch with young people. Alex Lee is not married and lives with her partner, and she too received a letter that used her first name and her partner’s surname. “First of all, I was just confused,” she said. “And then I was pretty angry. On social media there have been numerous examples of other women being given the surname of the man in a household — some have been siblings, others housemates. The Australian Electoral Commission (AEC) has denied having anything to do with the gendered gaffe. “AEC does provide electoral role data to political parties, but does not update an individual’s surname without a name change enrolment transaction having occurred,” it said in a statement. The World Today contacted the Liberal Party campaign headquarters via phone and email with questions about whether they were aware of the errors in campaign material, how widespread it was, and what they were doing to rectify the problem. The Liberal Party did not provide a response. Ms Ran said she had also contacted the Liberal Party and would like some answers. “Last night I asked what database they use and how did they arrive at that conclusion, because it’s shocking,” she said. Ms Ran said she had not yet received an answer.